Kameron Hurley's The Mirror Empire was one of my favorite Science Fiction reads from last year, so I am excited to share her guest post today with you in celebration of the second in the series. I hope you enjoy her books and the post as much as I did! Dominant cultures are insidious not only because of the power they exert over individuals to conform, but because that power exerts a kind of hegemonic truth. In plain English, that means that when you grow up inside a culture, you believe that everything about how you live and work and play, all the things you think and feel, are simply the way things are. You believe this is the only logical way to live, work and play. You believe that even if you grew up somewhere else, you’d think and feel those same things. One of the ways we build up this narrative of “the way the world must be” is to pick and choose what sort of people are allowed to tell the stories that build this narrative. Throughout much of the history of the Western world, and the United States in particular in this example, this was done by weeding out the work of women, of people who were not of a certain ethnicity, of people who did not hold the “correct” politics, of dissidents and revolutionaries and the poor when building a historical narrative. What this did was create a whole story of where we came from, and how the United States of America was built, and who built it, that ignored 99% of the people who lived there. We conveniently forgot, except in trivia rounds, that the White House was built by African slaves. We forget that many people came to this country in its formative years as indentured servants, bringing with them plague and the genocidal policies of their owners that they would later inherit that served to obliterate many of the Native American people who were already living here. We are told a story of discovery instead of one of conquest. We raise up the voices of a select few rich white landowners, and say that is who we all are, and that is all we will ever be, and any other voice is judged in relation to that voice. One cannot talk about the necessity of a diversity of voices telling stories – in books, television, games, or academia - without talking about the hegemony of the largely rich, largely male, largely white narrative that requires us to speak about diversity at all in the first place instead of just simply living the truth of that world, and that story, which is rich and fascinating and complex and messy and wonderful. Stories and writers who fall outside this dominant narrative give us a fuller picture of the world the way it actually is, and - importantly – the way the world could be. Writers of science fiction inspire our future; they give us visions and alternatives to our present. If those narratives all look like a 1950’s magazine – which my grandmothers were always keen to tell me were not at all like what the real 1950’s were either – then we are failing as writers to not only tell the truth, but to imagine future truths. It’s this aspiration for real, representative truth, for inclusion, that makes promoting voices from outside the dominant culture so important. And not only promoting. It’s important to note that we have always had voices from the margins writing in science fiction and fantasy – folks like Joanna Russ, Octavia Butler, Samuel R. Delany, and – going much further back - Rokeya Sakhawat Hossain. Yet I will still see people start posts about science fiction or preface a panel title by saying that all writers of science fiction in the “early days” were white men with military experience. This could not be further from the truth, yet it is their voices we remember, and their voices we champion, above and to the exclusion of the rest. Science fiction and fantasy is not just Heinlein, Asimov and Bradbury. It’s Norton, Le Guin, Saunders, Barnes, McIntyre, and Due and so many, many more than have been erased and forgotten. So as we go forward and champion the work of diverse writers outside of this dominant cultural narrative, let us also look back as we look forward, and ensure that we are not only talking about them now, but also in our history, in our academic papers, in our articles, and keeping them front and center in our cultural memory. We are doing a lot of good work now, but it has been done before, and it’s been swept under the rug again, and forgotten. We must fight not only for today, but for the memory of today, which will help us build more inclusive tomorrows. Kameron Hurley is an award-winning author and advertising copywriter. Hurley grew up in Washington State, and has lived in Fairbanks, Alaska; Durban, South Africa; and Chicago. She has a degree in historical studies from the University of Alaska and a Master’s in History from the University of Kwa-Zulu Natal, specializing in the history of South African resistance movements. Her essay on the history of women in conflict We Have Always Fought was the first blog post to win a Hugo Award. It was also nominated for Best Non-Fiction work by the British Fantasy Society. 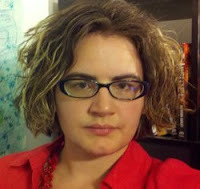 Hurley is the author of God’s War, Infidel, and Rapture, a science-fantasy noir series which earned her the Sydney J. Bounds Award for Best Newcomer and the Kitschy Award for Best Debut Novel. 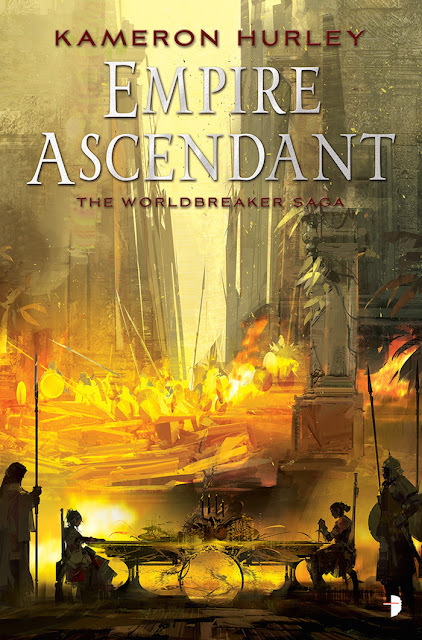 Her latest novel, The Mirror Empire is published by Angry Robot Books, and the sequel, Empire Ascendant, will be out in October 2015. Her first space opera, The Stars are Legion, will be published from Simon and Schuster’s Saga imprint in fall of 2016. She has won the Hugo Award twice, and been a finalist for the Arthur C. Clarke Award, Nebula Award, the Locus Award and the BSFA Award for Best Novel. Additionally, her work has been included on the Tiptree Award Honor List and been nominated for the Gemmell Morningstar Award. Hurley’s short fiction has appeared in magazines such as Lightspeed, Vice Magazine’s Terraform, EscapePod, and Strange Horizons, as well as anthologies such as The Lowest Heaven, The Mammoth Book of SF Stories by Women, Year’s Best SF and the upcoming Meeting Infinity. Her work has been translated into Romanian, Swedish, German, Hebrew, Chinese, Spanish and Russian. She is also a graduate of Clarion West. Her nonfiction has appeared in The Atlantic, and she writes a regular column for Locus Magazine. A collection of her essays The Geek Feminist Revolution, will be out from Tor Books in 2016.